President of Republika Srpska Milorad Dodik has accused the outside world, and the US, of protecting Kosovo Albanians and degrading Serbs in Bosnia and elsewhere. Milorad Dodik, described Kosovo as a question for all Serbs and said that the issue of Republika Srpska, should be discussed along with the question surrounding Kosovo. 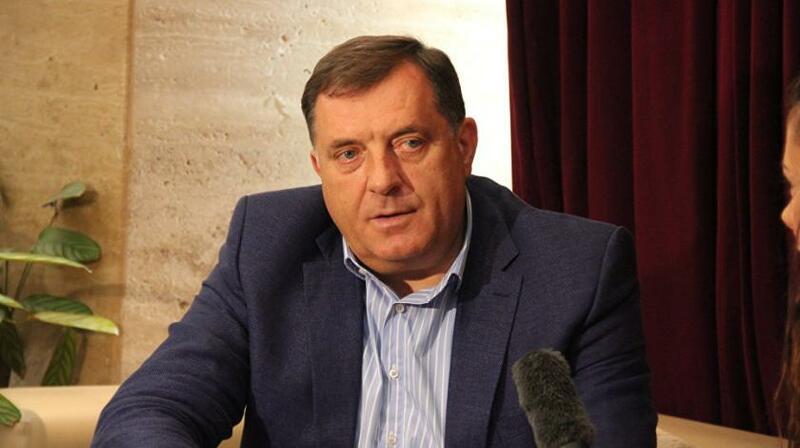 “Brussels is putting pressure only on the Serbs, which is what the international community is doing in Bosnia, when it comes to Republika Srpska,” Dodik told N1 TV. Dodik insisted that as president of Republika Srpska, he had respected the 1995 Dayton peace agreement in Bosnia, and blamed the international community for a complicated situation in both Bosnia and Kosovo. “We [Serbs] were naive and we trusted international community but every time we could see that they think of us as less worthy then others … there [in Kosovo], they protect the Albanians and here [in Bosnia] they degrade Serbs,” Dodik told. “The situation with Kosovo is not resolved, obviously, and it is a question of Serbia but also it is something that concerns Serbs no matter where they live,” Dodik said. Dodik said Kosovo, as well as Bosnia, are examples of failed states, and called on the international community to respect the national interests of Serbs. Dodik also said he was not a separatist, and accused the US of using fake reports about him to put him on a blacklist in January in 2017. “I do not see it as a blacklist, it is a fabrication that I am obstructing Dayton .. it is the US that does not respect it,” Dodik concluded. Next articleHow much will cost the Construction of Sarajevo – Belgrade Road?